The Railway, by Uzbek author Hamid Ismailov, is one of the few contemporary Central Asian works translated into English. Alas, it is translated from Russian rather than Uzbek. Perhaps this is a hypocritical lamentation, coming as it does from a speaker of another colonial language. After all, the author is still Uzbek, writing in Russian, and, on one level, the story is presumably the same regardless of the source language. Furthermore, some might argue that Russian is equally the mother tongue of many Uzbeks these days. 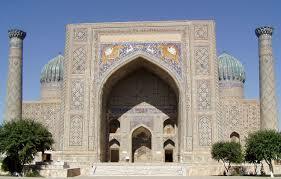 For that matter, Uzbek is only one of the languages of Uzbekistan. For speakers of minority languages, Uzbek could be a second language as much as Russian.